You have some frickin' sharks at your lair, and you're thinking "it would be really great if I could attach some lasers to them" and then you see these little laser diode modules: what great timing! 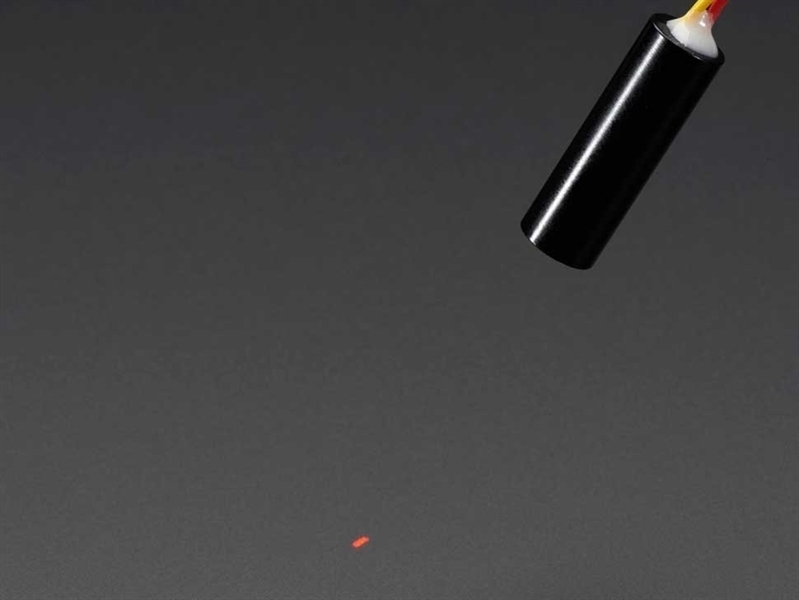 These encapsulated laser diodes are Class IIIa 5mW, with a 650nm red wavelength. They can be driven from 4.8V to 5.2V so they're great for your embedded electronics project. 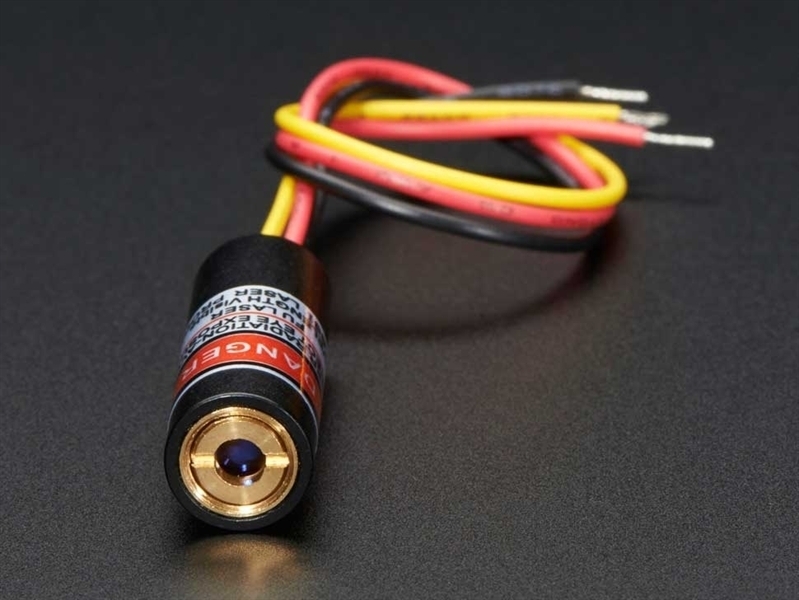 This module in particular is designed to be modulated/pulsed via the yellow wire. So you can use these for laser light shows, laser harps, 'wireless' communications and data transmission, electronic 'trip wires', laser-vision guidance, and more! 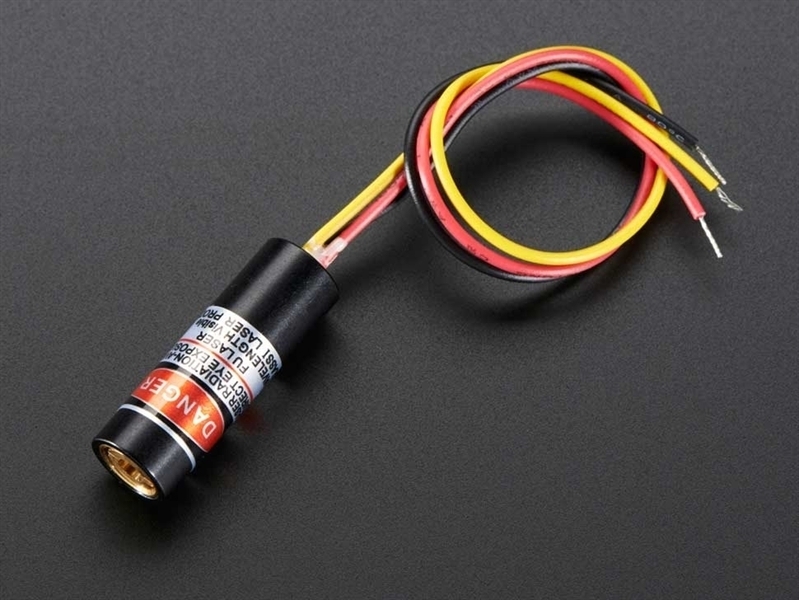 Simply connect 5V power to the red and black wires, and pull the yellow wire to 5V or ground to turn on and off, respectively. You will be lasing in no time.